In 2011 the drumline world was changed forever, all because of a little YouTube video. “Hot Scots” has become an internet sensation and a household name for drummers everywhere. But how did it happen? 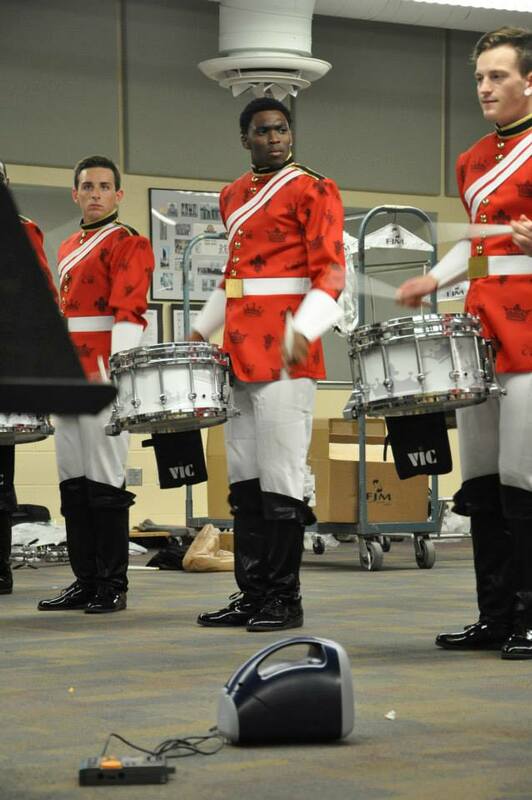 Dylan Charles is a snare player for Infinity Percussion, but he’s probably best known for his role as the center snare in the Hot Scots video. He gave DOA the inside scoop on how this monumental video actually came about. When Dylan initially sat down to talk with DOA, he was very humble about the whole experience and did not want to take much credit for the group itself. He says the Hot Scots drumline has actually been around at his school since the 1990’s. The original group consisting of Luis Rivera, Ryan Dixon, and Matt Verberg (the man behind Timber Creek Independent) were simply 3 friends looking for a day off from school. “The high school was holding some sort of cultural or ethnic event,” Charles says. “Apparently if they gave a performance they would get an entire day off of school. Thus the Scottish drummers were born.” After a few years the group died out, until Dylan partnered up with Nigel Fernandez and some other friends to bring it back to life at a school talent show. This was where the video was taken. “We just played some of our favorite drum corps excerpts and then Nigel & I filled in the rest,” Charles says casually. He thought it was just another performance until Nigel’s mother told the boys that their little YouTube video was getting thousands upon thousands of hits. Charles told DOA he knew things had really begun to change when America’s Got Talent became relentless in contacting them for a potential performance. “I always get recognized at percussion competitions now, and every once in a while random people on the street will recognize me too.” Dylan is grateful for the impact that the video has had over the years and is even more grateful for the fact that he is still friends with all of the guys that appeared in it. He says they still talk all the time and are even planning some sort of sequel to the already great video.